On the 21 September 2013, Riversands Farm will transformed in a kaleidoscope of colour, energy, dancing and music. 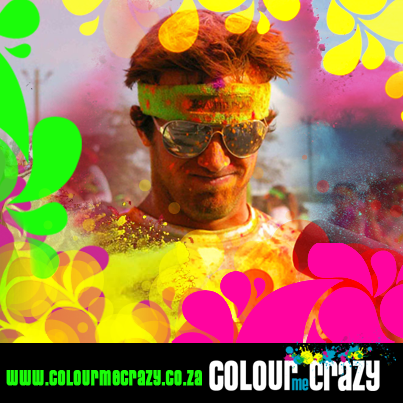 The Colour Me Crazy is a 5km Run that is combined with a Colour Fest that will entertain the most boring of people. The event starts with a 5km run with blasts of red, yellow, green, blue and pink coloured powder at each kilometre and leads to a massive music festival at the end. 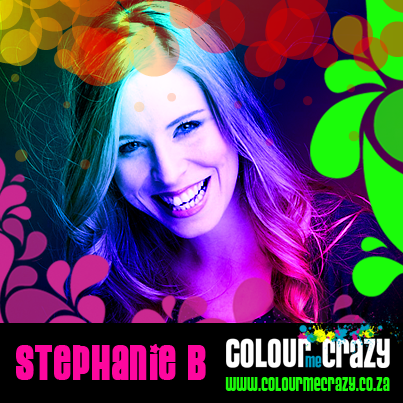 The Colour Fest to end the day will star Locnville, Crazy White Boy, Roger Goode, Dean Fuel, DJ Wags, Household Funk and the brilliant Stephanie B will be your M.C. on the day. So in wetting your tastes buds, it only seems appropriate that we should offer you some tickets. We have four tickets up for grabs for you and three mates. The tickets will allow you to enter the race as well as join the party afterwards. If you want to win, just tweet us (either @ATJabu or @TyronBarnard) and ask nicely. Entries will only be eligible if you include @ColourMeCrazySA in the tweet. Then to keep up with all things colourful and crazy, check out their website, follow them on twitter or like them on Facebook. Can you say epic?